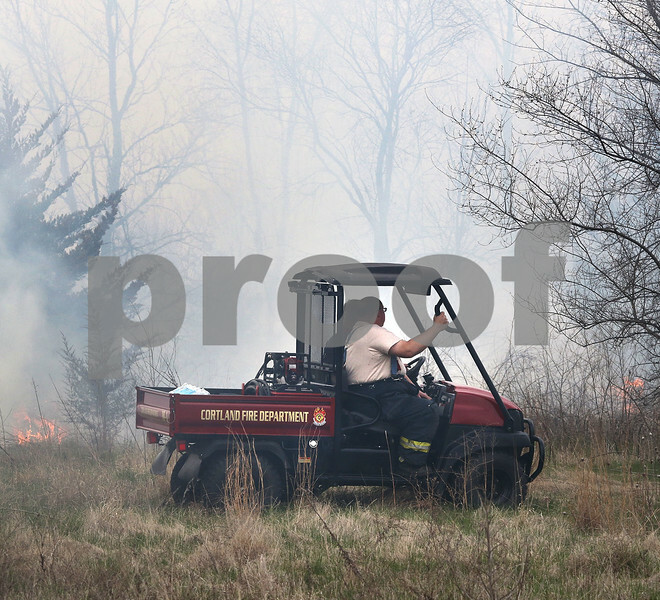 Firefighters from the Cortland Fire Department make their way to a hot spot in a brush fire near Peace Rd. and Fairway Dr. in DeKalb Tuesday. Firefighters from several departments responded to the blaze near I-88.